Curiosity on Stage is a clever new program at the Canada Science and Technology Museum. It invites visitors of all ages to learn directly from scientists and researchers. It’s a wonderful opportunity for the audience to ask questions and to interact with a scientist in person. It truly provides insight into what people who are working in science and technology fields do and why that work really matters. The program is sure to inspire curious kids to consider careers in science, technology, engineering and math. 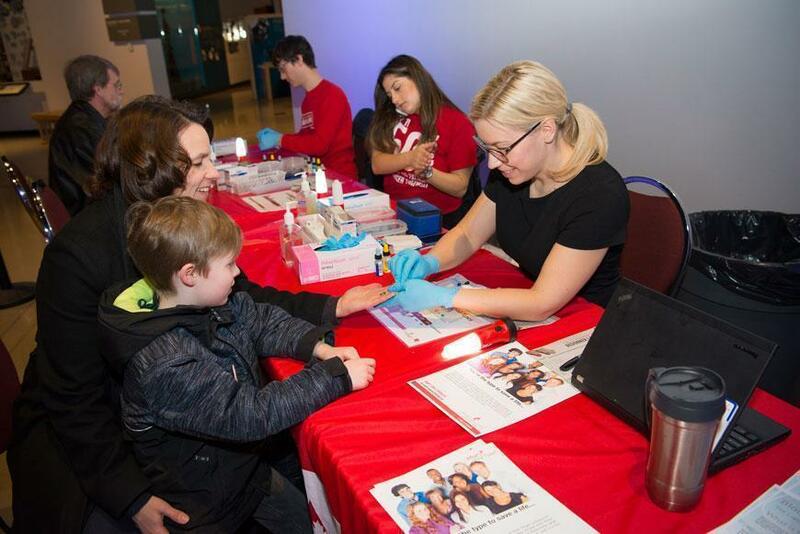 A few weeks ago, our own Chief Scientist, Dr. Dana Devine, was on “display” at Canada’s national science museum. We were delighted to be invited to participate. 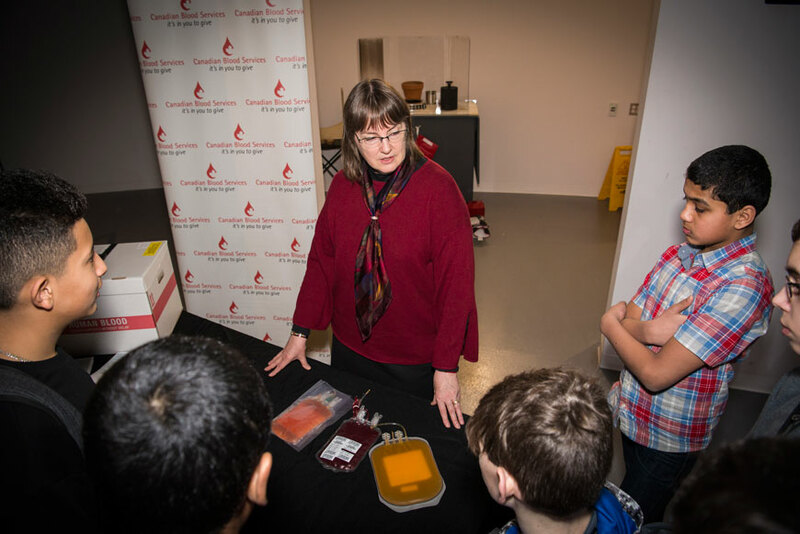 Dr. Devine provided the audience a brief look at the components of blood, blood types and why blood types matter, and she also spoke about blood safety. An interactive Q&A followed: audience questions – from both adults and children – were interesting and diverse. 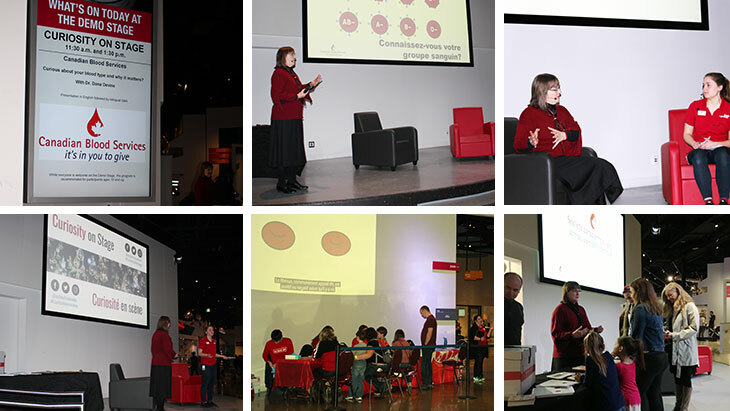 Alongside Dr. Devine’s presentation, guests were given the opportunity to find out their blood type. On the walls behind the blood typing tables, a primer video about blood, plasma, stem cell and organ and tissue donation played. The museum is a fantastic place for hands-on learning, and real engagement with science and technology. The staff are amazing and the programming is top-notch! We hope to partner with the Canada Science and Technology Museum again sometime soon. Science Odyssey 2017: What's in your blood?